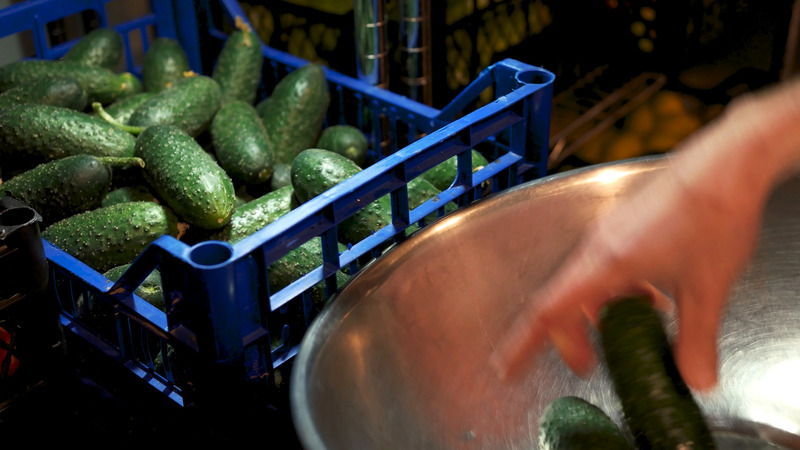 Hand Taking Cucumbers From Crate. Description: Hand taking cucumbers from crate. Fresh green vegetable.